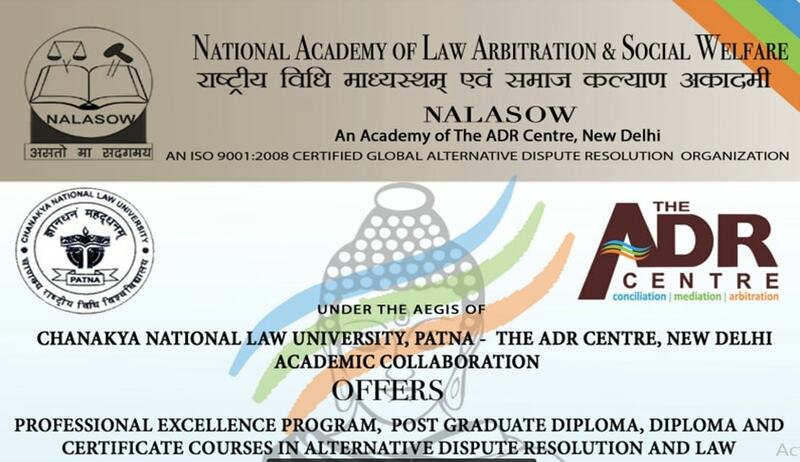 The National Academy of Law Arbitration and Social Welfare (NALASOW), under the aegis of Chanakya National Law University, Patna and the ADR Centre New Delhi, is offering Professional Excellence Programs, Post Graduate Diplomas, Diplomas and Certificate Courses in Alternative Dispute Resolution and Law. For further details regarding the programs, click here. The admission notification can be accessed here.